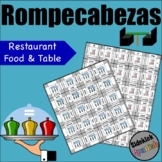 Dibuja la comida: Students read Spanish descriptions of 18 different meals and then draw the meals on the plates. A nice way to make repetition and reading interesting. 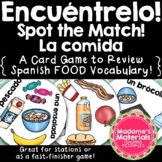 Great for kids who are visually or artistically inclined and helps connect Spanish words with images for valuable learning. 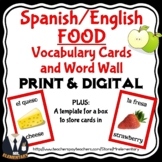 This 133-slide PowerPoint presentation contains a comprehensive overview of food words in Spanish. (The PowerPoint can be downsized to match the content of your unit.) The presentation is made up of slides with interesting, "real-life" pictures that will engage students and facilitate discussion. 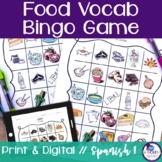 Use this activity to further practice food vocabulary in sentences. The slideshow contains "YO" statements (with images). For each statement students stand and call out "Soy yo!" if the statement describes them. 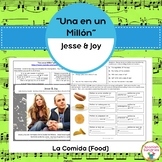 A fun and interactive class activity!